With a musical style that has been described as "a combination of RZA, Flying Lotus, Madlib, and Geoff Barrow of Portishead…", “Peeling in the Drum” continues Remy LBO's exploration of the boundaries of instrumental Hip-Hop. By taking heavy melodic bass lines, improvisational piano and fractured drums, Remy creates a potent atmospheric brew that sounds as if it has been cooked up in the reaches of outer space. 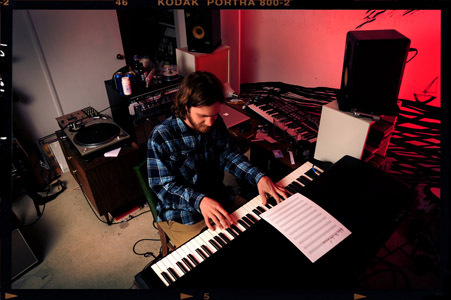 To compliment the mixture of musical styles found on “Peeling in the Drum”, Remy employs a seamless fusion of live instrumentation and computer production for a strong sense of authenticity. “Peeling in the Drum” is an album that not only fans of hip-hop need to hear. It is an album that fans of music need to hear as well.